I'm using PayPal all the time - it is fast and convenient - no wonder why it is so popular. Literally - they are so fast, convenient and embedded in the online commerce that they can charge hefty exchange rates (I'm based in the UK and I pay in £££ for goods priced in $$$) and commission. As a buyer I know that I'm protected - I can always request a refund - and that's what I did - I paid $350 to get business cards manufactured and delivered - $300 for the physical bits and extra $50 on top of that to pay for the time of the designer to get some basic changes on top of the base design. It was an uphill battle - it was taking several days to change the font... 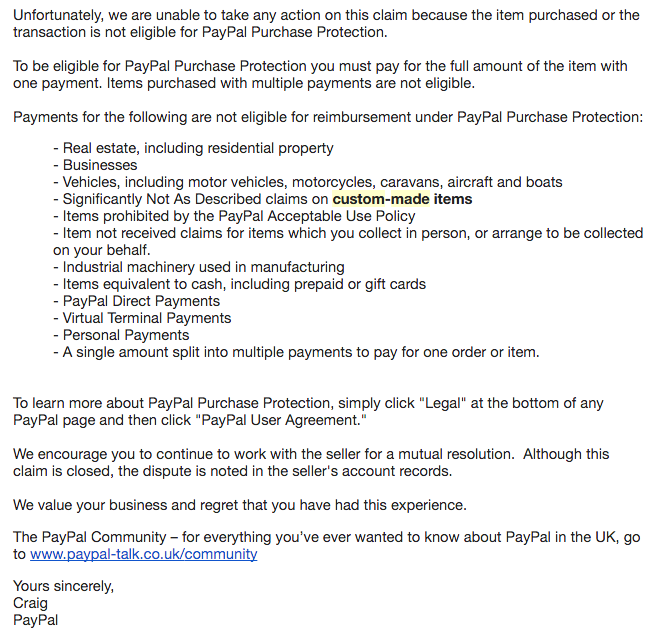 I requested the refund in FB conversation and when it was refused I asked PayPal. for the refund. Apparently I'm not eligible (see email) but I'm not losing my hope. I treat every difficulty as a business opportunity and currently I'm thinking about establishing Black PR Agency - each time name of this guy appears somewhere on the internet (Google Alerts) I'll introduce myself and leave an honest review. Currently I'm not making this video public just yet... I'd much rather focus on something more productive and I hope that we will resolve this issue. 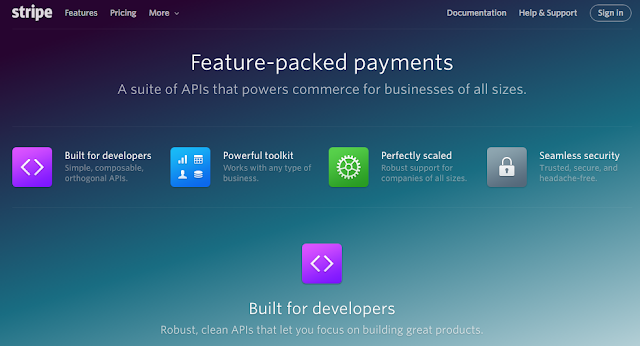 Something more productive... How about showing people how to quit using PayPal and switch to Stripe! UPDATE: PayPal community forum - https://www.paypal-community.com/t5/Refunds-and-cancellations/Dispute-refund-appeal-complaint-what-the-heck-is-going-on/m-p/1040954#U1040954 - asking how to trigger response from the seller.